There is a warm lump of baby sleeping on me at the moment. 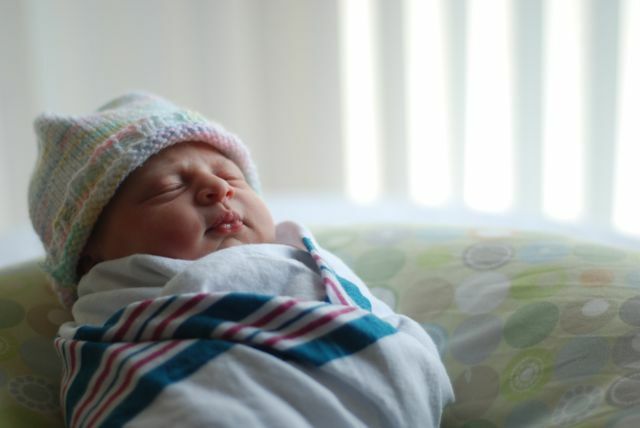 Charlotte Pearl arrived on July 28. She is an awesome baby (aren’t they all? ), and her first six weeks with us have gone smoother than I imagined (knocking on wood. One should never say these things out loud). I’ve written out the story of her birth, but for now it’s available by request only. Here’s what I’ll say about it: I had the unmedicated VBAC of my dreams. Her birth story is almost boring it was so perfect. What I do want to share are the lessons of my second pregnancy and birth. Because in our culture, most of us know very little about pregnancy and birth until we are pregnant. And many times, that’s too late. I learned so much during my first pregnancy, and even more in the time since my first was born. And most of it is information that all women should have before becoming pregnant. So, that’s what I want to talk about. Hopefully this isn’t too jumbled – it’s tough to think and write with this foggy, sleep-deprived, post-partum brain. 1. You have choices in prenatal care providers, far beyond whatever ob/gyn you have been seeing for annual visits. Research. Ask around. Think about what you want. Make changes. Advocate for yourself and your baby. If something doesn’t feel right, change it. For my first pregnancy I went to a large ob/gyn practice. I saw a different doctor every time. I waited in a crowded waiting room. At every visit I was given something new to worry about: my iron levels were low, I wasn’t gaining enough weight, I was measuring small, fluid was low, baby was small, on and on and on. My baby was breech the entire pregnancy, and no one ever talked to me about ways to get the baby to flip, or any of my options. Appointments were brief, there was no conversation. At 37.5 weeks they wanted to bring me in for a c-section immediately because, they claimed, baby was measuring small and was still breech. I wrote about that birth experience here. This time around, I knew I wanted nothing to do with that model of care, and sought something different. I wanted a practice that fully supported VBACs, that would take their time to talk to me and learn my story, that wouldn’t look for things to make me scared about. I found exactly what I was looking for at Capital Region Midwifery. This group of midwives is phenomenal. They listened to my history, they were nothing but supportive of my desire for an unmedicated VBAC, the staff knew me, I formed a relationship with the midwives, appointments involved un-rushed conversation about what was going on, and there were usually only one or two people in the comfortable waiting room of their office, which is in a big old Victorian house. The first minutes of Charlotte’s life, such bliss.the above, of course – your care provider determines a lot about your birth experience. But so does the hospital (or the not-hospital), your partner, and any other supporting players. the above, of course – your care provider determines a lot about your birth experience. But so does the hospital (or the not-hospital), your partner, and any other supporting players. I knew I wanted to work with a doula this time, and we hired Johanna D’Aleo. We took Hypnobirth classes with Johanna during my first pregnancy, and her level-headed, knowledgable, grounded, loving presence was one I wanted by our side. We met with Johanna several times before I went into labor – talked about our hopes and fears for the birth, about VBACs, and about our past experience. She gave us advice as we prepared, we practiced relaxation techniques, and got to know each other better. Her presence during labor and birth was calming, steady, and reassuring. 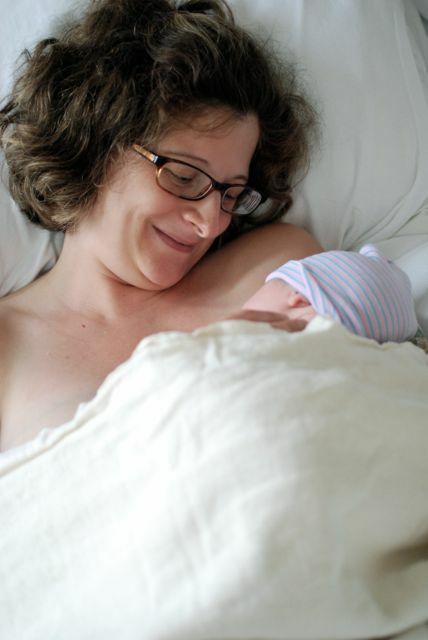 Likewise, my amazing midwife Maureen was a warm, calm presence during labor and birth. Nothing was ever uttered to make me feel nervous or scared – only words of encouragement and assurance. Patrick was, of course, an amazing birth partner. He knew exactly what I needed, and was a quiet, steady, strong support. I labored for about 14 hours and spent many of those hours standing with my arms around Pat’s shoulders, head bent, swaying. He never complained about standing that long, about my weight hung around him, or anything else. (Well, we both complained about the frigid temperature of the hospital room, but that’s about it.) He was perfectly loving and encouraging during the most challenging moments. He announced that we had another baby girl, and seeing him cut the cord was an awesome moment. The hospital we chose (Burdett Care Center) was supportive of natural birth, and followed all of my birth wishes – from dimmed lights, to laboring in the pool, to a long bonding skin to skin time with my baby. For the most part, I interacted very little with anyone other than Patrick during labor. The Hypnobirth techniques worked for me, and I was in my own head and body, relaxing down through contractions, leaning into Pat, swaying and moving as I needed to. No one encroached on that. The midwives, Johanna, and the nurses hung around the perimeter and let me do my thing unless I needed them or they needed to tell me something. The baby and I were monitored per the hospital’s VBAC policy, and while that was occasionally annoying I was glad someone was keeping an eye on how the baby was doing. 3. You have choices, you make the decisions. It’s been eye-opening to learn how much many medical professionals rely on fear to control patients and limit the patient’s choices. Before I knew better, I didn’t know what choices I had – and certainly my OB wasn’t interested in informing me. Every woman owes it to herself to become informed before and during pregnancy, and every woman and baby deserves excellent care. There are tons of great books and websites out there, and plenty of amazing midwives and doulas who have made it their lives’ work to give women positive and empowering experiences. 4. Hear only the messages you need to hear. What I mean is: if you want a natural birth, make sure you’re surrounded throughout pregnancy by people that support you, and send messages of support. Whatever your birth goal is, you don’t need to hear from people who say you can’t do it. From the pregnancy fitness class I took to my midwife to my friends and family – it made such a difference to hear constant positive messages, success stories, and encouragement. No one ever told me that my VBAC goal was impossible, or that it was silly to try for an unmedicated birth. That support did away with any lingering fears I had. I am so grateful to have had the empowering birth experience I dreamed of. I wanted so badly to experience a full labor, to birth my baby, and to have that baby immediately put on my chest. My VBAC was a success in part due to luck – a healthy and well-positioned baby, my own health, and no need for interventions. But it was also largely due to finding the right people to support me. 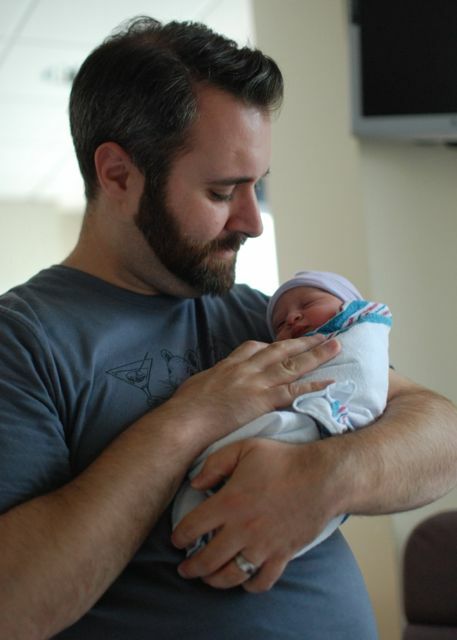 I look back on Charlotte’s birth and feel nothing but joy, pride, empowerment, and love. It was amazing, and I’m still in awe that it happened the way it did. I am so grateful. The only regret I have about the experience is that we didn’t have someone there to take photos or video, other than a few iPhone photos from Johanna. At the same time, that birth space was sacred – maybe it’s best that we have just our memories and our story, unfiltered. 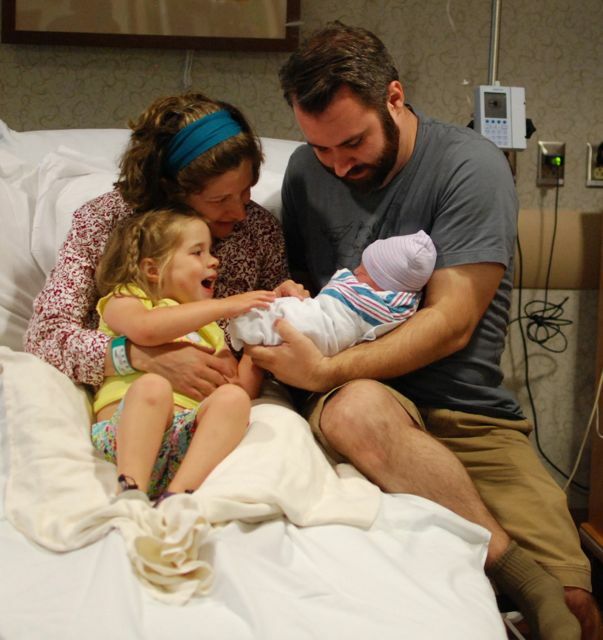 New family of 4 – Evelyn meets her baby sister.